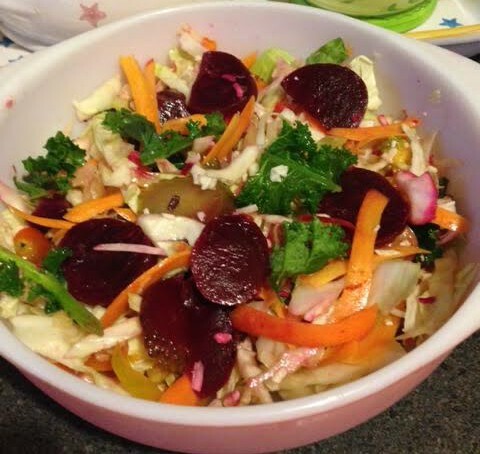 This is the first Summer salad made with ALL ingredients from the Cottage City Community Garden. Denise picked these items earlier this week. Your favorite oil/ vinegar dressingToss and enjoy with a friend!